Congratulations, Ellen (and her Mum for such a brill cake)! June 2nd saw the launch of ‘The Patient’, an art exhibit hosted by the University of New South Wales, Sydney. What could you find among the exhibits? None other than the newest, shiniest version of MIRAGE. When there’s something weird in the neighbourhood, who did BPS call? Team MIRAGE. Galleries of Justice, Nottingham, was host to Weird Psychology: the science of strange phenomena, organised by the British Psychological Society. It seemed the perfect setting for an evening of interactive weird but wonderful illusions and presentations on some of the stranger things we investigate as psychologists. Not only were we offering the usual finger stretching and disappearing hand trick, but a whole host of other illusions that included chicken wire, prism goggle high-fives, and ‘magic’ (science) tricks. Newsflash!! Roger, with the help of technicians Andy Smith and Colin Ely, has created an exciting new MIRAGE (along with a lot of mess in the lab). This latest version includes fully automated, interactive body illusions. It will be a permanent exhibition as part of the Brain Zone at the Newcastle Life Science Centre (although we were hoping it would stay in Notts and run all our experiments for us). The Brain Zone is funded by the Wellcome Trust and Roger is on his way to Newcastle today to see Baroness Manningham-Buller (the chair of the Wellcome Trust) officially open the exhibition. Follow this link for information on visiting the Brain Zone and trying the illusion yourself: http://www.life.org.uk/whats-on/brain-zone. We’ll be looking for willing volunteers to demonstrate our multisensory illusions, including finger stretching and the disappearing hand trick. We’ll also be on-hand to answer any questions about studying psychology at Nottingham. Hope to see you there! It took us a week to realise, but now that it’s gone live we’re very happy to share our latest publication with you all! Ever wondered how finger stretching in MIRAGE really feels? Does it actually feel like it’s been stretched? We wanted to know how well this was working too so decided to put our thousands of fingers stretched to good use and ask people that very question. 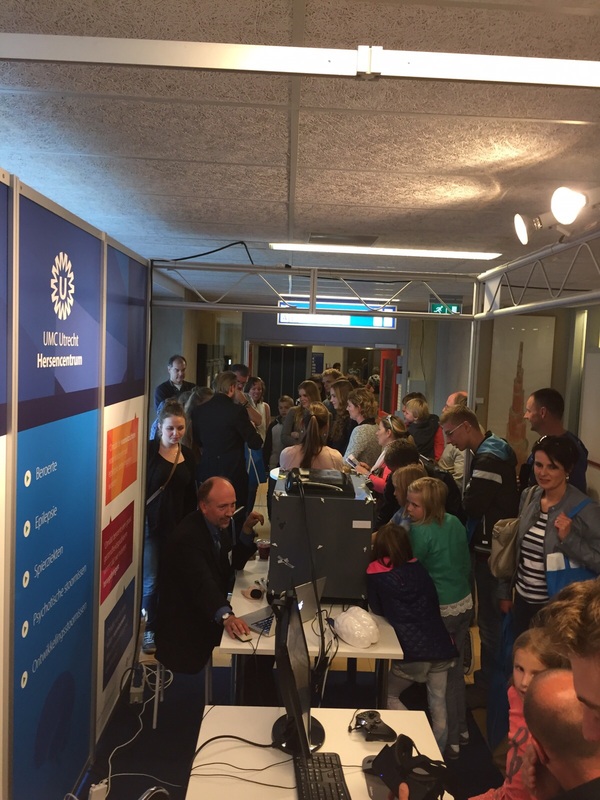 Firstly, Chris Dijkerman and his team set up camp at an open day in their local hospital in Utrecht to showcase what they can do. As you can see from the pictures below, detaching the finger was as popular as ever with people of all ages. Tasha was brilliant throughout, but if you want to skip to the MIRAGE stuff then don’t, because it is all good. This month the Mirage lab published a study in Molecular Autism investigating visuo-tactile integration in autism spectrum disorders (ASD). Sensory atypicalities, such as a dislike of loud noises or a preference for certain textures, are common in ASD. Research from studies on visuo-auditory integration suggests these could be due to atypical sensory integration. There’s little research on visuo-tactile-proprioceptive integration in ASD but MIRAGE presents an ideal way to investigate this area! 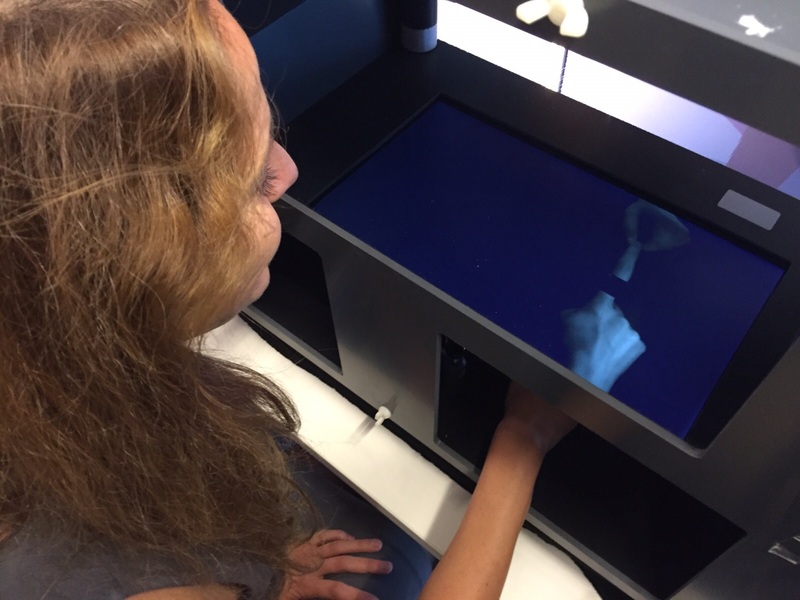 In the study, a group of 29 children with ASD and 58 typically-developing children took part in an experiment using a supernumerary limb illusion. We found that when visual and tactile information were separated by a delay, all children bound the information together to embody a hand when the delay was small. However, the group with ASD continued to do this even when the delay was large. This temporally extended sensory binding could lead to problems binding information from related events which may affect sensitivity to sensory stimuli. 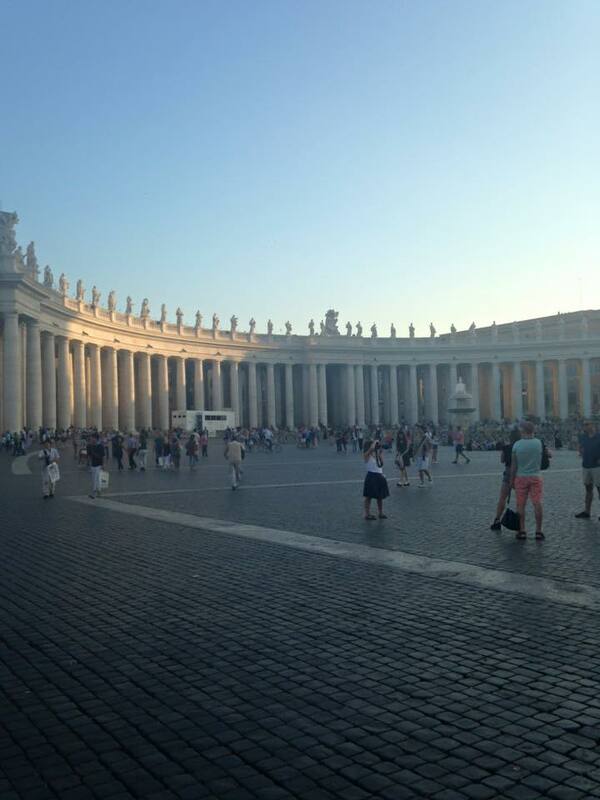 Read about Hayley’s trip to Rome to present at ICSC 2015. Rome, the city of seven hills, and founders Romulus and Remus (not the planets on Star Trek), also became the setting for my very first international conference talk. ICSC ( or the International Conference of Spatial Cognition) is held every 3 years in Rome at Sapienza University. Last week we went to the University of Nottingham’s first ever Research Cafe, an event at which members of the public can come in for a cup of tea and a slice of cake and leave having done a few experiments. Although we were not there to collect data, we did try out a few new illusions: the reaction to one of which you can hear here. We think this was an amputation illusion on one of our interns. We can’t quite make out the last word on the clip, so if you can help us out, let us know. Although currently we only post a few of our illusions on this site, that day made us realise that we actually have about 20 which we ought to share with you. We will be posting more of these as soon as we find the time. We hope you enjoy them.